The general consensus around E3 is that it’s like Christmas for gamers: all the biggest names in gaming get together to showcase their newest and most exciting developments. Some are more exciting than others. EA’s showing this year was underwhelming. Similarly, Square Enix didn’t really have much to offer. Sony was somewhat middling, as was Ubisoft this year. Microsoft showed quite a lot of promise, with some new and very exciting announcements for Xbox One owners as well as PC gamers. I’m not here to talk about them, though, I’m here to talk about Nintendo who in my opinion knocked this E3 right out of the park. While some of what we saw today was expected, such as more from Octopath Traveler, some DLC for Xenoblade Chronicles 2, and a few new Nindies, arguably the highlight and most anticipated reveal was for Super Smash Bros. Ultimate. First of all, we finally know the actual title of the game. Super Smash Bros. Ultimate. 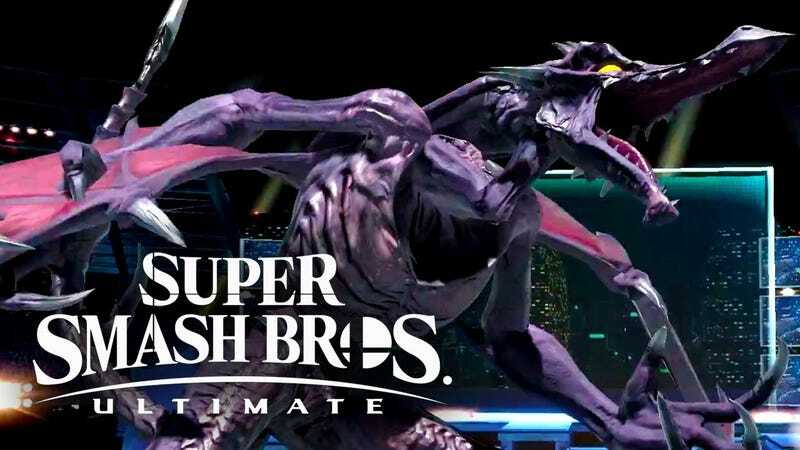 Let that sink in - this is intended to be the definitive Super Smash Bros. and from what we saw today, I have no doubts that it will in fact be everything we’ve ever wanted from SSB sans maybe a new Subspace Emissary. Perhaps there will be some other new faces that were not revealed today - if I am not mistaken, Bomberman will also be making an appearance, and several other challengers have been updated to complement the more powerful Switch. Another one that was sortof expected is Fortnite landing on the Switch, a very welcome addition to my library thank you very much! We are also getting a new Mario Party, for those who were disappointed about the last one landing on the 3DS. Fire Emblem: The Three Houses was also showcased, and looks as great as I had hoped. Another upcoming arrival that many Switch owners will be excited about is Dragon Ball FighterZ. There is also a new game to look forward to called Daemon x Machina, for all you mecha fans out there. It looks pretty good, and was a great way to kick off the show. Did anyone notice that the 3DS was a no-show this E3? Last, but not least, Pokémon Let’s Go Pikachu/Eevee was showcased and discussed in great detail during the Treehouse segment, which is well worth watching for those who have their doubts about the game. I think it’s pretty cool, especially now that I know more about it! It’s a lot to digest, wouldn’t you say? While there were some notable absences, such as Mother 3 (again) and Animal Crossing, we will see what next year brings. With Nintendo’s track record these past few years, I doubt we will be disappointed. I think they have perfected the art of E3, year after year they always get me excited! Which announcement got you pumped this year? Was it Ridley, or was it Fire Emblem? Are you more or less interested in Pokémon LGPE now? Weigh in, me hearties! Just for the record, it’s nearly 3AM where I am right now - worked a long shift so if I’m more scatter-brained than usual, I’ll nail that down to fatigue and excitement being a rather intoxicating combination.